Currency: British Sterling. Credit and cards are widely accepted. You will need cash for parking, toilets and snacks. Parking: Parking can be difficult and usually has to be paid for. Do pay attention to the signs because you get could get fined if you park where parking is forbidden. Parking fines in Britain are vicious. When looking for places to stay, accommodation with parking in Cornwall will make your life so much pleasanter on holiday. If you plan to visit Truro, there is a Park&Ride service where you can park your car outside the town and catch a bus into the centre. The Car Park for Truro Park and Ride is at Langarth Park on the west side of Truro on the A390 at Threemilestone. Taking your dog on holiday to Cornwall: Many dog owners prefer to take their dog with them on holiday. 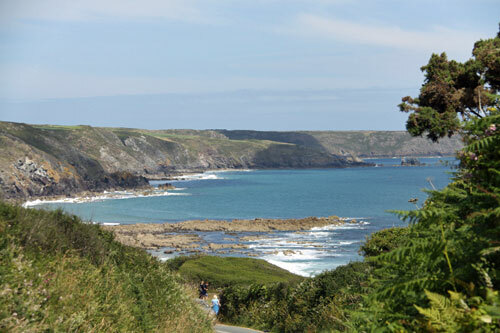 Obtaining dogs welcome cottages in Cornwall or other accommodation is simple enough, however most beaches do not allow dogs from May to September. It's a good idea to obtain a list of dog friendly beaches in Cornwall before you go. Insurance for your car: The chances are that you are driving to get to Cornwall. Dealing with a car breakdown on holiday can be both stressful and costly if you do not have any type of roadside assistance or insurance to cover this. Insurance for your holiday cottage: People unfortunately become sick or things go wrong and you may become unable to go on holiday. When booking holiday cottages, the deposit is usually non-refundable and often the balance is, depending on when you cancel. Cottage owners will usually offer a refund if they are able to re-let the cottage. You can either take out special insurance to cover this situation or ask your friends or relatives if they would like to go instead of you. Most travel insurance merely covers medical expenses and not your accommodation so do check the small print.